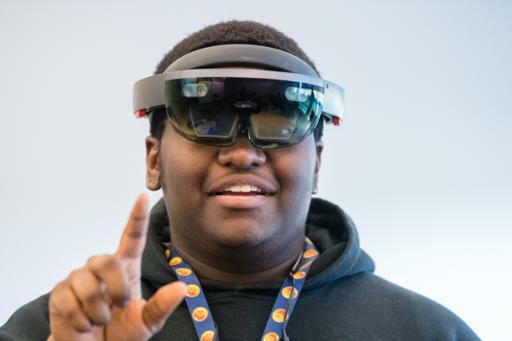 Cuyahoga Community College (Tri-C®) will host a technology open house for adults, teens and their families on Saturday, April 27, at Corporate College® East. The Tech 4 All Community Day will offer fun, hands-on technology activities for adults, middle school and high school students and parents. The free, family-friendly event will take place from 9 a.m. to 1 p.m. The open house will also provide opportunities to learn about IT programs offered through the College’s Information Technology Center of Excellence, explore career options and talk with IT professionals. Registration is required for the free event and can be done at www.tri-c.edu/Tech4All. The registration deadline is Monday, April 22. Call 216-987-4770 for more information. Corporate College East is located at 4400 Richmond Road in Warrensville Heights.